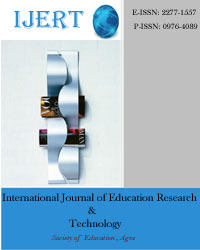 Society of Education (SOE, India) is a non-profit organization delivering support and services to educators and researchers around the world. SOE dedicated to public engagement in scientific research and education. Our vision is to promote the understanding and appreciation of science and the vital role it plays in human advancement: to inform, educate and devoted to encouraging interaction among information professionals, scientists, managers and users. The Society is truly professional in nature. It enrolls only the qualified persons as members after the applications have been screened and approved by the Membership Screening Committee which is duly nominated by the Executive Committee. Society of Education was established in 2010 and is emerging as a new forum for research in multiple disciplines. In partnership with research institutions, community organizations, enterprises, and foundations. SOE-India provides a variety of programs to support and promote education and research development, including international education projects, and scientific publications. SOE-India publishes scholarly journals in a wide range of academic fields, including the biological, Medical, Biodiversity, computing, the engineering, the social sciences and humanities, education, economics, and management. These journals deliver original, peer-reviewed research from international scholars to a worldwide audience and all journals indexed in various world class database. 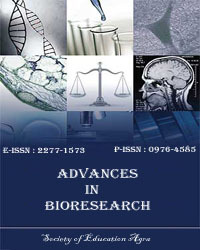 All our journals are available in electronic form and are available for free download on-line. “To support researchers and their communities in disseminating their research worldwide through the provision of a world-class, open access advanced scientific and technical scholarly publishing service”. 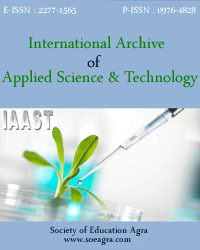 * To foster and promote the new scientific knowledge that has emerged from recent advances in both basic and applied biological sciences in Agriculture, Animal sciences, Forestry and all other disciplines of Biological Sciences. * To enable interaction between biologists for mutual benefits in Academic and /or Research, Educational or Transfer of technology. the under privileged sections of the society. * To focus on problems of malnutrition in women and children through scientific approach. * To create awareness on environmental issues, biodiversity conservation, etc. * To further such objectives and goals as the General Body may decide from time to time.